Scientific research shows that many animals are very intelligent and have sensory and motor abilities that dwarf ours. Dogs are able to detect diseases such as cancer and diabetes and warn humans of impending heart attacks and strokes. Elephants, whales, hippopotamuses, giraffes, and alligators use low-frequency sounds to communicate over long distances, often miles. And bats, dolphins, whales, frogs, and various rodents use high-frequency sounds to find food, communicate with others, and navigate. Many animals also display wide-ranging emotions, including joy, happiness, empathy, compassion, grief, and even resentment and embarrassment. It’s not surprising that animals—especially, but not only, mammals—share many emotions with us because we also share brain structures, located in the limbic system, that are the seat of our emotions. In many ways, human emotions are the gifts of our animal ancestors. Many animals display profound grief at the loss or absence of a relative or companion. Sea lion mothers wail when watching their babies being eaten by killer whales. People have reported dolphins struggling to save a dead calf by pushing its body to the surface of the water. Chimpanzees and elephants grieve the loss of family and friends, and gorillas hold wakes for the dead. Donna Fernandes, president of the Buffalo Zoo, witnessed a wake for a female gorilla, Babs, who had died of cancer at Boston’s Franklin Park Zoo. She says the gorilla’s longtime mate howled and banged his chest, picked up a piece of celery, Babs’ favorite food, put it in her hand, and tried to get her to wake up. I once happened upon what seemed to be a magpie funeral service. A magpie had been hit by a car. Four of his flock mates stood around him silently and pecked gently at his body. One, then another, flew off and brought back pine needles and twigs and laid them by his body. They all stood vigil for a time, nodded their heads, and flew off. I also watched a red fox bury her mate after a cougar had killed him. She gently laid dirt and twigs over his body, stopped, looked to make sure he was all covered, patted down the dirt and twigs with her forepaws, stood silently for a moment, then trotted off, tail down and ears laid back against her head. After publishing my stories I got emails from people all over the world who had seen similar behavior in various birds and mammals. A few years ago while I was watching elephants in the Samburu National Reserve in Northern Kenya with elephant researcher Iain Douglas-Hamilton, I noticed a teenaged female, Babyl, who walked very slowly and had difficulty taking each step. I learned she’d been crippled for years, but the other members of her herd never left her behind. They’d walk a while, then stop and look around to see where she was. If Babyl lagged, some would wait for her. If she’d been left alone, she would have fallen prey to a lion or other predator. Sometimes the matriarch would even feed Babyl. Babyl’s friends had nothing to gain by helping her, as she could do nothing for them. Nonetheless, they adjusted their behavior to allow Babyl to remain with the group. Waterfall dances: Do animals have spiritual experiences? “As he gets closer, and the roar of the falling water gets louder, his pace quickens, his hair becomes fully erect, and upon reaching the stream he may perform a magnificent display close to the foot of the falls. Standing upright, he sways rhythmically from foot to foot, stamping in the shallow, rushing water, picking up and hurling great rocks. Sometimes he climbs up the slender vines that hang down from the trees high above and swings out into the spray of the falling water. This ‘waterfall dance’ may last 10 or 15 minutes.” After a waterfall display the performer may sit on a rock, his eyes following the falling water. Chimpanzees also dance at the onset of heavy rains and during violent gusts of wind. In June 2006, Jane and I visited a chimpanzee sanctuary near Girona, Spain. We were told that Marco, one of the rescued chimpanzees, does a dance during thunderstorms during which he looks like he’s in a trance. Elephants have strong feelings. They also have great memory. They live in matriarchal societies in which strong social bonds among individuals endure for decades. Shirley and Jenny, two female elephants, were reunited after living apart for 22 years. They were brought separately to the Elephant Sanctuary in Hohenwald, Tenn., to live out their lives in peace, absent the abuse they had suffered in the entertainment industry. When Shirley was introduced to Jenny, there was an urgency in Jenny’s behavior. She wanted to get into the same stall with Shirley. They roared at each other, the traditional elephant greeting among friends when they reunite. Rather than being cautious and uncertain about one another, they touched through the bars separating them and remained in close contact. Their keepers were intrigued by how outgoing the elephants were. A search of records showed that Shirley and Jenny had lived together in a circus 22 years before, when Jenny was a calf and Shirley was in her 20s. They still remembered one another when they were inadvertently reunited. 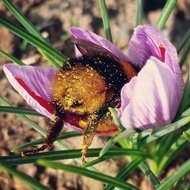 We now know that bees are able to solve complex mathematical problems more rapidly than computers—specifically, what’s called “the traveling salesman problem”—despite having a brain about the size of a grass seed. They save time and energy by finding the most efficient route between flowers. They do this daily, while it can take a computer days to solve the same problem. As we know, dogs have a keen sense of smell. They sniff here and there trying to figure who’s been around and also are notorious for sticking their noses in places they shouldn’t. Compared to humans, dogs have about 25 times the area of nasal olfactory epithelium (which carries receptor cells) and many thousands more cells in the olfactory region of their brain. Dogs can differentiate dilutions of 1 part per billion, follow faint odor trails, and are 10,000 times more sensitive than humans to certain odors. Dogs appear to be able to detect different cancers—ovarian, lung, bladder, prostate, and breast—and diabetes, perhaps by assessing a person’s breath. Consider a collie named Tinker and his human companion, Paul Jackson, who has Type 2 diabetes. Paul’s family noticed that whenever he was about to have an attack, Tinker would get agitated. Paul says, “He would lick my face, or cry gently, or bark even. And then we noticed that this behavior was happening while I was having a hypoglycemic attack so we just put two and two together.” More research is needed, but initial studies by the Pine Street Foundation and others on using dogs for diagnosis are promising. Crows from the remote Pacific island of New Caledonia show incredibly high-level skills when they make and use tools. They get much of their food using tools, and they do this better than chimpanzees. With no prior training they can make hooks from straight pieces of wire to obtain out-of-reach food. They can add features to improve a tool, a skill supposedly unique to humans. For example, they make three different types of tools from the long, barbed leaves of the screw pine tree. They also modify tools for the situation at hand, a type of invention not seen in other animals. These birds can learn to pull a string to retrieve a short stick, use the stick to pull out a longer one, then use the long stick to draw out a piece of meat. One crow, named Sam, spent less than two minutes inspecting the task and solved it without error. Caledonian crows live in small family groups and youngsters learn to fashion and use tools by watching adults. Researchers from the University of Auckland discovered that parents actually take their young to specific sites called “tool schools” where they can practice these skills. As we all know, dogs are “man’s best friend.” They can also be best friends to one another. Tika and her longtime mate, Kobuk, had raised eight litters of puppies together and were enjoying their retirement years in the home of my friend, Anne. Even as longtime mates, Kobuk often bossed Tika around, taking her favorite sleeping spot or toy. Late in life, Tika developed a malignant tumor and had to have her leg amputated. She had trouble getting around and, as she was recovering from the surgery, Kobuk wouldn’t leave Tika’s side. Kobuk stopped shoving her aside or minding if she was allowed to get on the bed without him. About two weeks after Tika’s surgery, Kobuk woke Anne in the middle of the night. He ran over to Tika. Anne got Tika up and took both dogs outside, but they just lay down on the grass. Tika was whining softly, and Anne saw that Tika’s belly was badly swollen. Anne rushed her to the emergency animal clinic in Boulder, where she had life-saving surgery. If Kobuk hadn’t fetched Anne, Tika almost certainly would have died. Tika recovered, and as her health improved after the amputation and operation, Kobuk became the bossy dog he’d always been, even as Tika walked around on three legs. But Anne had witnessed their true relationship. Kobuk and Tika, like a true old married couple, would always be there for each other, even if their personalities would never change. After I picked Jethro from the Boulder Humane Society and brought him to my mountain home, I knew he was a very special dog. He never chased the rabbits, squirrels, chipmunks, or deer who regularly visited. He often tried to approach them as if they were friends. One day Jethro came to my front door, stared into my eyes, belched, and dropped a small, furry, saliva-covered ball out of his mouth. I wondered what in the world he’d brought back and discovered the wet ball of fur was a very young bunny. Jethro continued to make direct eye contact with me as if he were saying, “Do something.” I picked up the bunny, placed her in a box, gave her water and celery, and figured she wouldn’t survive the night, despite our efforts to keep her alive. I was wrong. Jethro remained by her side and refused walks and meals until I pulled him away so he could heed nature’s call. When I eventually released the bunny, Jethro followed her trail and continued to do so for months. Over the years Jethro approached rabbits as if they should be his friends, but they usually fled. He also rescued birds who flew into our windows and, on one occasion, a bird who’d been caught and dropped in front of my office by a local red fox. Fish are often difficult to identify with or feel for. They don’t have expressive faces and don't seem to tell us much behaviorally. Nonetheless, Chino, a golden retriever who lived with Mary and Dan Heath in Medford, Oregon, and Falstaff, a 15-inch koi, had regular meetings for six years at the edge of the pond where Falstaff lived. Each day when Chino arrived, Falstaff swam to the surface, greeted him, and nibbled on Chino’s paws. Falstaff did this repeatedly as Chino stared down with a curious and puzzled look on her face. Their close friendship was extraordinary and charming. When the Heaths moved, they went as far as to build a new fishpond so that Falstaff could join them. An embarrassed chimpanzee: I didn’t do that! Embarrassment is difficult to observe. By definition, it’s a feeling that one tries to hide. But world famous primatologist Jane Goodall believes she has observed what could be called embarrassment in chimpanzees. Fifi was a female chimpanzee whom Jane knew for more than 40 years. When Fifi’s oldest child, Freud, was 5 1/2 years old, his uncle, Fifi’s brother Figan, was the alpha male of their chimpanzee community. Freud always followed Figan as if he worshiped the big male. Once, as Fifi groomed Figan, Freud climbed up the thin stem of a wild plantain. When he reached the leafy crown, he began swaying wildly back and forth. Had he been a human child, we would have said he was showing off. Suddenly the stem broke and Freud tumbled into the long grass. He was not hurt. He landed close to Jane, and as his head emerged from the grass she saw him look over at Figan. Had he noticed? If he had, he paid no attention but went on being groomed. Freud very quietly climbed another tree and began to feed. Harvard University psychologist Marc Hauser observed what could be called embarrassment in a male rhesus monkey. After mating with a female, the male strutted away and accidentally fell into a ditch. He stood up and quickly looked around. After sensing that no other monkeys saw him tumble, he marched off, back high, head and tail up, as if nothing had happened. Stories about animals rescuing members of their own and other species, including humans, abound. They show how individuals of different species display compassion and empathy for those in need. In Torquay, Australia, after a mother kangaroo was struck by a car, a dog discovered a baby joey in her pouch and took it to his owner who cared for the youngster. The 10-year-old dog and 4-month-old joey eventually became best friends. On a beach in New Zealand, a dolphin came to the rescue of two pygmy sperm whales stranded behind a sand bar. After people tried in vain to get the whales into deeper water, the dolphin appeared and the two whales followed it back into the ocean. Dogs are also known for helping those in need. A lost pit bull mutt broke up an attempted mugging of a woman leaving a playground with her son in Port Charlotte, Florida. An animal control officer said it was clear the dog was trying to defend the woman, whom he didn’t know. And outside of Buenos Aires, Argentina, a dog rescued an abandoned baby by placing him safely among her own newborn puppies. Amazingly, the dog carried the baby about 150 feet to where her puppies lay after discovering the baby covered by a rag in a field. In his book Mind of the Raven, biologist and raven expert Bernd Heinrich observed that ravens remember an individual who consistently raids their caches if they catch them in the act. Sometimes a raven will join in an attack on an intruder even if he didn't see the cache being raided. In subsequent experiments, Heinrich confirmed that group interests could drive what an individual raven decides to do. Ravens and many other animals live by social norms that favor fairness and justice.